Adds a convenient power outlet and two USB charging ports for your valued guests. 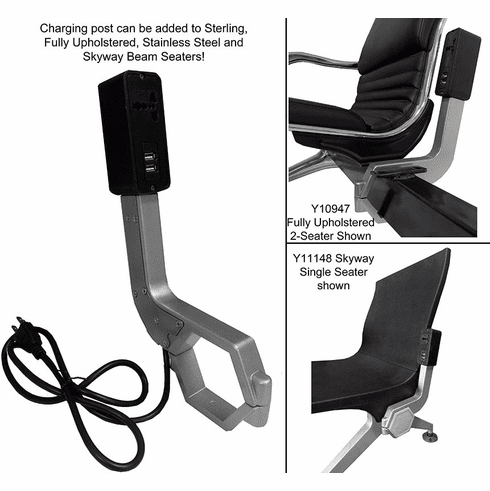 Attaches to support beam between seats for any of our Altitude, Upholstered, or Heavyweight Beam Seating. Includes 4' grounded cable. Cannot be combined with Between Seat Arm Kit. Does not mount on Y10368 and Y10946 Single Seaters. Shipping weight 2 lbs. PRICE INCLUDES SHIPPING! IN STOCK!